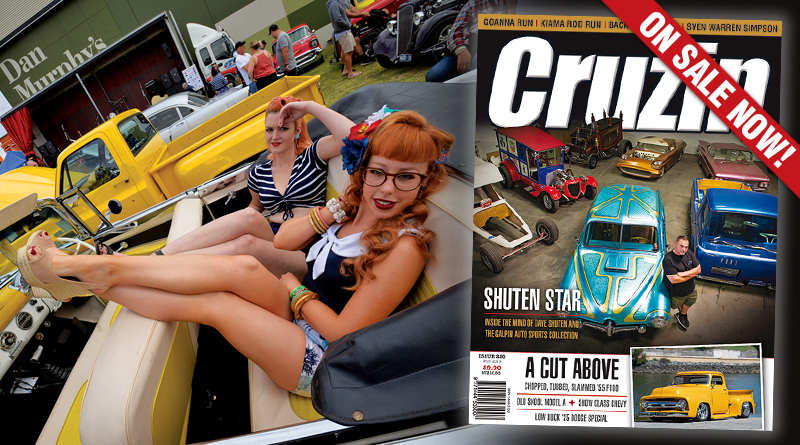 We kick off 2019 with a bang with Cruzin #220 jam packed full of good reading. 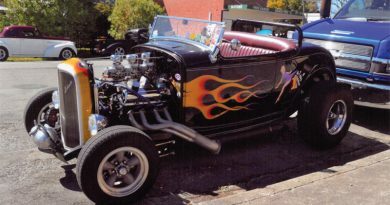 Numero uno this edition is the article on Dave Shuten, an in depth interview with the guy who has become a worldwide authority on crazy customs and show cars. 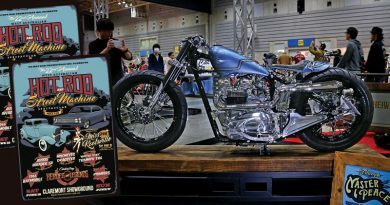 Slightly less radical, but very cool just the same, is the chopped and slammed F100 of Ed Van Graas. 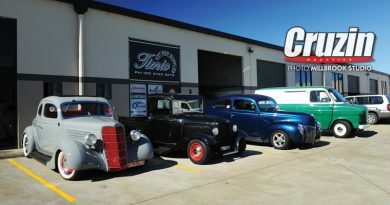 We also look at Denial Kelly’s Model A coupe, Gary Clover’s ’34 Chevy coupe, and Nicole Burke’s Dodge Special, three hot rods with new owners and fresh attitudes. 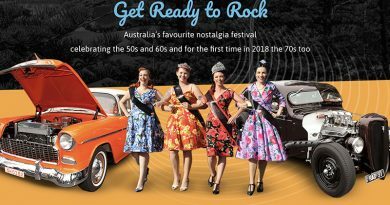 We take in the Goanna Run at Mildura, Kiama Rod Run south of Sydney and the Back to ’63 show in Queensland, plus look at a rare ’36 Desoto Airstream coupe in the build. 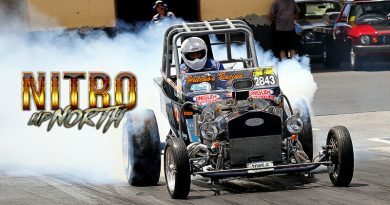 Cruzin #220 is available now, grab it at your local or order at www.drivebuy.net.au.